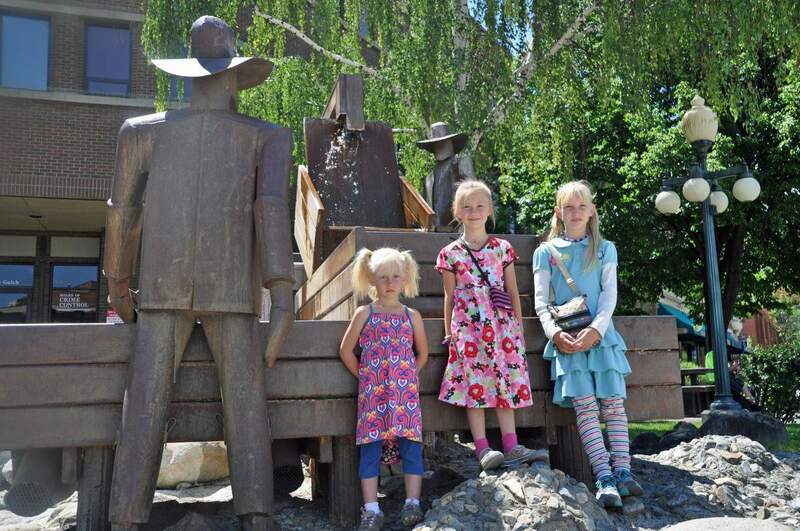 Dana over at Our Traveling Tribe knows quite a bit about the Top 10 Family Stops in Helena, Montana because her family is from there. They are a pretty amazing family if you don’t know about them, you’ll want to read more. The Ticknors are a family of fourteen (four have flown the nest) that travel around the country full time in a RV. Interested in learn more about this nomadic family? Me too. I’m thrilled to have Dana sharing her insight on a state I have never visited, but certainly want to after reading her post! Our family has traveled extensively across the United States, and yet our favorite place is still our home state of Montana. 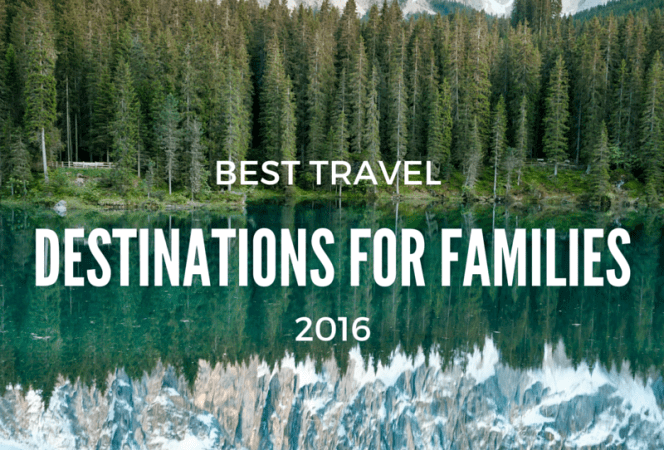 There are so many reasons to love the Big Sky State, and its capital city is the perfect destination for families! Montana is known best for being home to both Glacier National Park and Yellowstone National Park (although Yellowstone covers more ground in Wyoming, it’s most popular entrances are in Montana), and I am a firm believer that families should visit both parks! 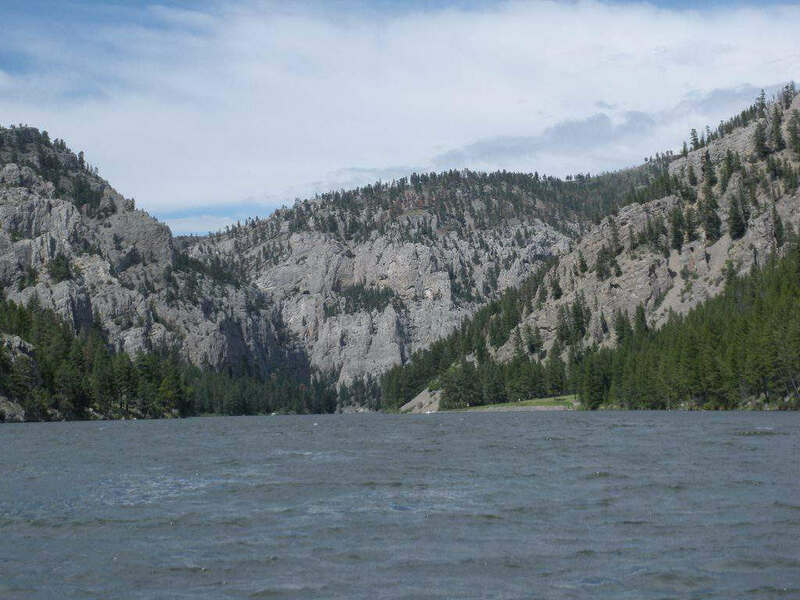 Helena is the perfect halfway point for traveling between the national park sites, and it has so much natural beauty, and intriguing old west history, to offer to its guests. Children especially love the rugged nature and the abundant wildlife that is prevalent throughout the state. This was built with kids in mind! 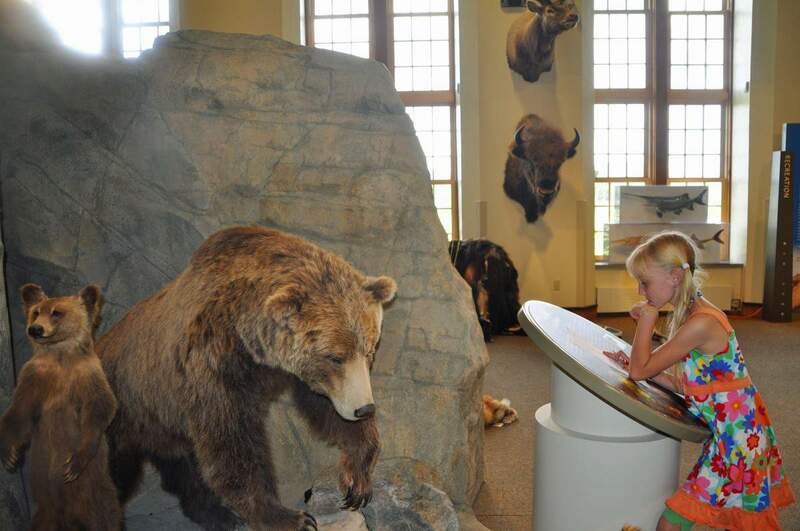 At this free facility, kids will learn about Montana wildlife while viewing native animals, completing scavenger hunts, and participating in hands-on activities. This is a great hour to two hour long stop that will give the kids an overall view of what to watch out for, and hope to see, as they get out and about and explore Montana! We love to take guided tours to get a feel for a new stop, and Helena is no different. The Last Chance Tour Train is an entertaining, narrated tour on a faux train that takes you through the historic parts of this capital city. Giving interesting insight into the rich history of this gold mining town of the old west, guests are sure to enjoy the open air ride, the knowledgeable tour guides, and the overview of the city. Tours are an hour long and are very family friendly. Don’t forget to save your tour tickets as there are coupons on the back for other fun activities in Helena. This is a small 67,000 sq ft museum that hosts a plethora of Old West memorabilia and art exhibits. The Montana Historical Society is an intriguing historical museum which focuses on expansion history, including a gallery of over 200 works by famed Montana cowboy artist Charlie Russell. The museum is very inexpensive to tour and offers a combo rate with the Original Governor’s Mansion tour. 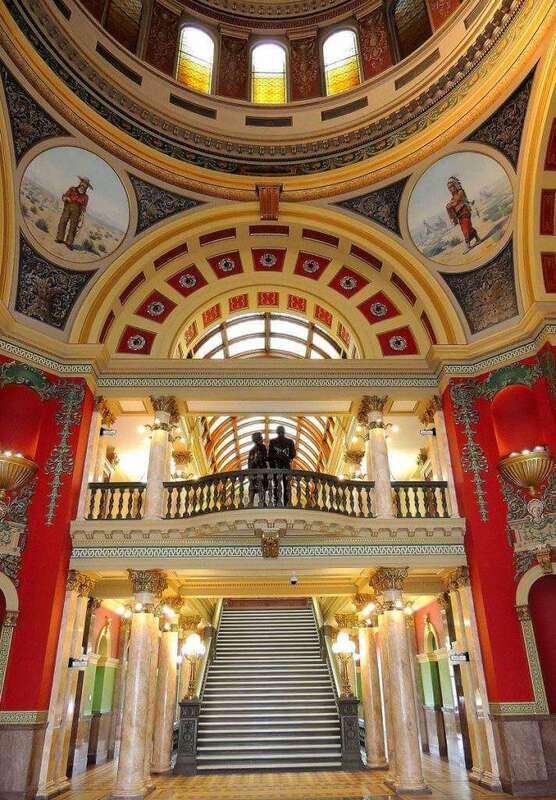 These are guided, one hour tours available in the beautiful Montana State Capitol Building; you can also self-guide if preferred. The building features a massive rotunda that showcases intricate artwork, and a large and priceless Charlie Russell cowboy painting hangs in the House of Representatives. This stop is a great half hour add-on to the Last Chance Train Tour and a visit to the Historical Society Museum as all are located next to one another. 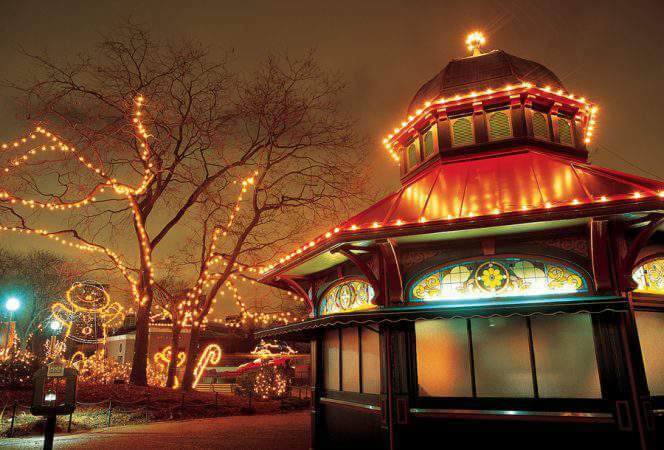 Downtown Helena offers a fun stop for kids at the world-class Great Northern Carousel! Mount your choice of local wildlife, from cut-throat trout to bison to grizzly bear, and spin off into a stampede of hand-carved animals created by a Disney renowned carver. An incredible location for fun photos, once the animals have been tamed, it is time to check out the over 2 dozen flavors of decadent Montana-made ice cream! Neighboring the Great Northern Carousel is Montana’s best children’s science museum, ExplorationWorks. Two levels of hands-on activities are geared for ages 1 to 12, with a variety of exhibits and venues. A fun stop for a couple of hours, this museum is an ASTC member, so if you have an ASTC museum membership, entrance is free. This is a unique and entertaining method of exploring part of the Lewis & Clark trail that is otherwise unreachable. This 2 hour boat ride down the Missouri River traces the same route that Lewis & Clark took through the area over 200 years ago. 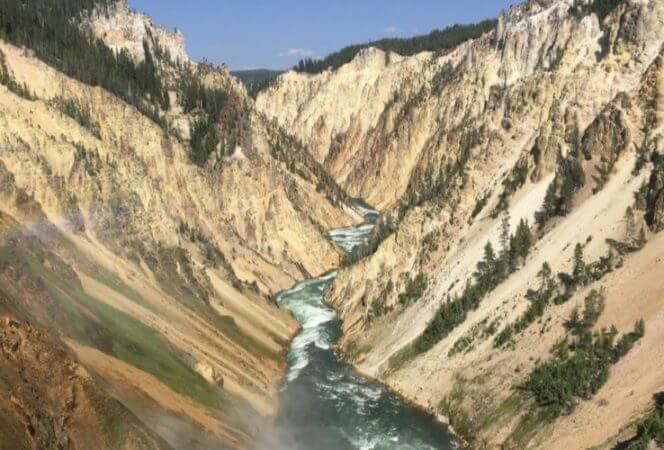 With limestone cliffs towering 1200 feet on either side of the river, and the illusion that the river simply dead-ended into the cliffs, Meriwether Lewis named this section of the river The Gates of the Mountains as the cliffs seemed to open before him as their boats approached. Your open-air boat will take you though the 5 mile long scenic canyon where you will learn about the terrain of the area, view the wildlife that inhabits the gates, and even learn about events that have happened since this area was plotted by the expedition. Great for kids and adults alike, we recommend giving the kids their own cameras for this tour, then expect some great wildlife shots! Until just a few years ago, I didn’t realize that geocaching was so popular in our hometown of Helena. Recently it was named the #1 Geocaching city in the US by Rand McNally! Geocaching is huge in Helena; so huge in fact, that the local tourism board has a fun GeoTour geocache scavenger hunt that includes 38 cache sites located in nearby historic areas – collect the secret password from 25 of the caches, and turn them in for your special geocoin, and be entered in to win a return trip to Helena! Super fun hunt, and a great way to discover the Helena area! Towering over downtown Helena, and provides a beautiful and mountainous backdrop for the city. Whether you enjoy hiking or mountain biking, Mt. Helena is a popular destination for all ages. With multiple trails of varying difficulty levels, hiking the mountain is a fun way to get out, exercise, and enjoy stunning views of Helena and the valley. You can find a list of the best trails on Mount Helena here. While in Helena, be sure to look beyond the valley and find the ‘Sleeping Giant’ in the mountains – he is a big of a mascot in Helena; if you cannot find him, ask any resident to point him out and you’ll wonder how you missed his slumbering figure! 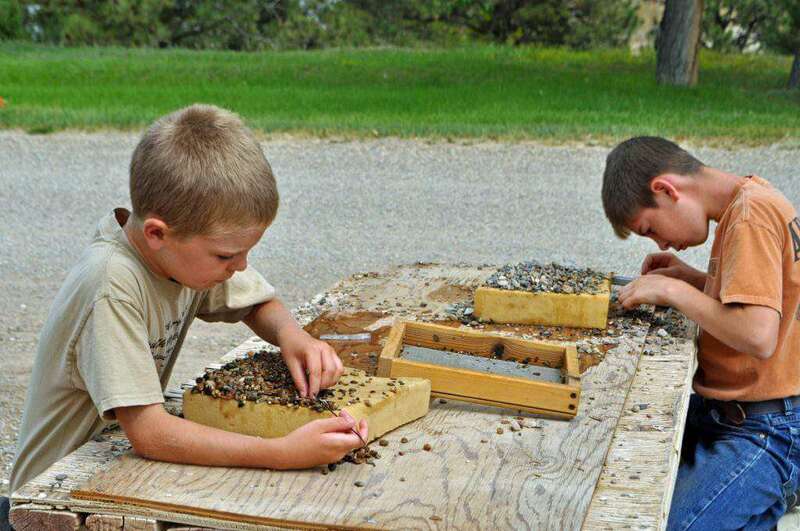 One of our favorite outdoor activities in southwest Montana is sapphire mining! Yes, you can find your own, and kids tend to be even better at ferreting out the blue-hued beauties than adults! I’m not sure if it’s because they are closer to the stones, their eyes are younger, or their energy is endless, but our kids love to take long tweezers and dig through the wet and dirty gravel hoping for transparent stones to rise to the top of their shaken and flipped finds. The Blue Jewel Mine is a favorite with tourists for its friendly and informative owners, mountain location, and gem saturation. A bit of a drive from town, but mining sapphires is sure to be a memorable activity! Bring sunhats, sunscreen, lunch and drinks, and a strike-it-rich attitude! Helena offers an eclectic assortment of eateries sure to tempt the palate. Bullman’s Wood Fired Pizza offers thin crust pizza, including child-sized pizzas, ranging from traditional recipes to more modern fare including toppings such as pine nuts, spinach, and feta cheese. Be sure to save a bit of room for dessert tho; after you finish at Bullman’s, head across the street to The Frozen Moose! The frozen yogurt bar is complete with 8 flavors of self-serve frozen yogurt and dozens of toppings – it is a memorable stop that is sure to be requested again! Karmadillos Southwestern Cafe is set in a historic alley in downtown Helena, and offers great New Mexico influenced fare, while nearby Cafe Zydeco serves up the best Cajun cooking outside of Louisiana! Nagoya Japanese Steakhouse and Sushi has taken the town by storm as Helena’s newest fine dining establishment; be sure to sit on the hibachi side, and interact with your neighbors and chef as he cooks your food immediately in front of you! The Great Northern Best Western is a newer hotel that is located just a block from the Great Northern Carousel and ExplorationWorks. With a reputation for cleanliness, and boasting a pool, high-speed internet, complimentary breakfasts, and an onsite restaurant, this location has it all. The Residence Inn by Marriott is located on the outskirts of town and is the perfect setup for families that are staying more than a day or two. Near the Helena Costco, fine dining (including Nagoya), and multiple shopping areas, this hotel is also right off the interstate, making it easy to get to and from your destinations! With a pool, children’s splash pads, full kitchens, breakfast buffets, and sleeper sofas, the whole family will find this home-like setting relaxing. Helena is an excellent destination for families and offers a variety of venues for differing interests. Come check it out – the beauty and atmosphere of the Big Sky Country is sure to provide many fond memories to take home with you! About Dana: Dana’s family of 14 have been fulltime travelers for the past 6 years. Toting their home along with them in the form of a 42′ RV, they have explored 41 states, over 90 national parks, and countless zoos, museums, and amusement parks. 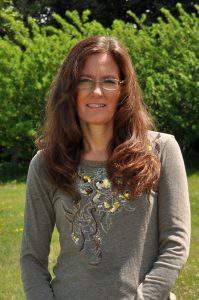 Dana writes for LetsRV.com, as well as keeping their own social media channels moving. You can find their tribe’s travels on their website at Our Traveling Tribe.